As the list shows, while Brisbane is home to just 2 unis, it contains 10 campuses in total from 6 Australian universities. Queensland University of Technology (QUT) and the University of Queensland (UQ) are large Brisbane-based universities. Both unis occupy central locations, with QUT in the city and UQ in a nearby suburb. The 2 Brisbane universities teach a combined 95,000 students, including 19,000 from abroad. Griffith University also has a strong presence in the Brisbane CBD and suburbs. Its main campus is on the Gold Coast however. 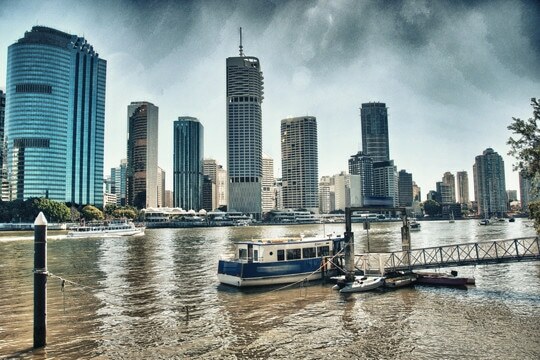 Brisbane is an attractive study destination. It has a sub-tropical climate, with mild winters and warm summers. The city manages to maintain a relaxed vibe while offering all the services of a major city.